It is estimated that approximately 80 percent of Canadians will suffer from some type of back pain during their lifetime. In fact, back pain is the leading cause of disability throughout the world. 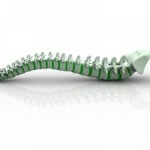 Fortunately, most cases of back pain are not permanently disabling and many can be treated with an innovative method called Spinal Decompression Therapy. This technologically advanced therapy is often combined with additional types of treatment and is extremely beneficial for individuals who suffer from a variety of issues.